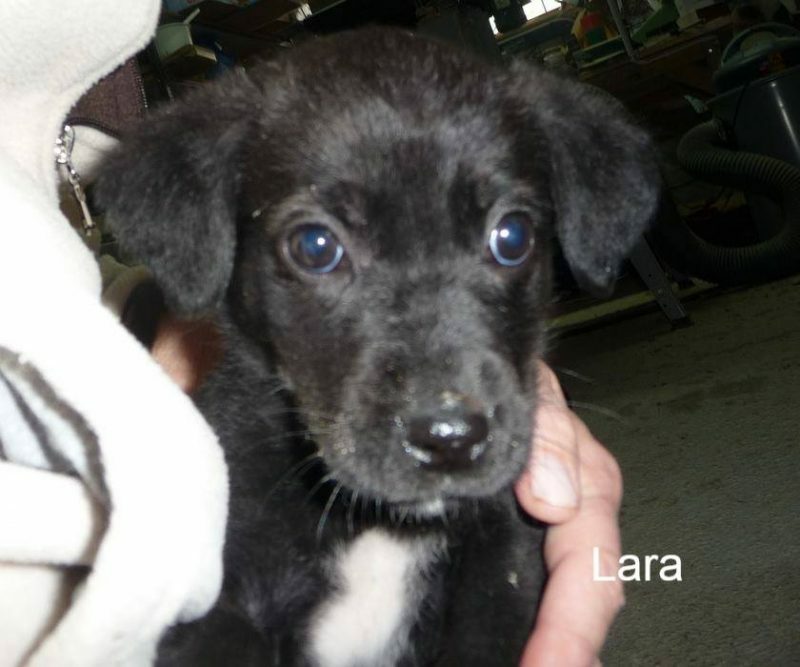 Lara was abandoned along with her two sisters and brother when just a few weeks old. The puppies were found huddled together by a rubbish bin and taken to Animal Rescue Kefalonia shelter in Argostoli. Lara and her siblings were in a cage when I arrived at ARK to do my ‘building’ volunteer work under the supervision of Trevor Candy. We were known as the Lixouri crew! Andi Nicholson, Celia Credland, John Wilkinson and myself. I was attracted to the puppies by their crying and asked Marina where they had come from. She told me that the puppies had been found by the roadside and bought to ARK that morning. Marina was very worried for them as they were so young and needed constant attention. Anyone who has been to ARK will know that one thing there is not enough of, is time! Marina asked if I could take the puppies home until they were old enough to return to ARK and join the other young dogs. This was quite a dilemma for me as I had three rescue dogs at home already. That afternoon we (the Lixouri crew) went home with an extra four little passengers! I had already telephoned by husband and told him to expect the puppies. When we arrived he had made a safe, clean area for them complete with dog house and super soft bedding. The puppies had a few problems, the biggest problem being worms! It was my first experience of puppies with worms and it was a shock. The worms were almost as big as the puppies!!! We have never fostered puppies before and it was a big learning curve. We found that feeding puppies with milk out of a large syringe (no needle involved) was an art form! However, after several sessions we became professionals. Puppies pooh everywhere! Puppies wee everywhere! Thank goodness for incontinence sheets! Lara’s siblings, Lucy, Lottie and Leo thrived and we started to think about finding homes for them. Lottie, gorgeous little Lottie, was born with just one eye and we thought she would be the hardest to find a home for. We could not have been more wrong. 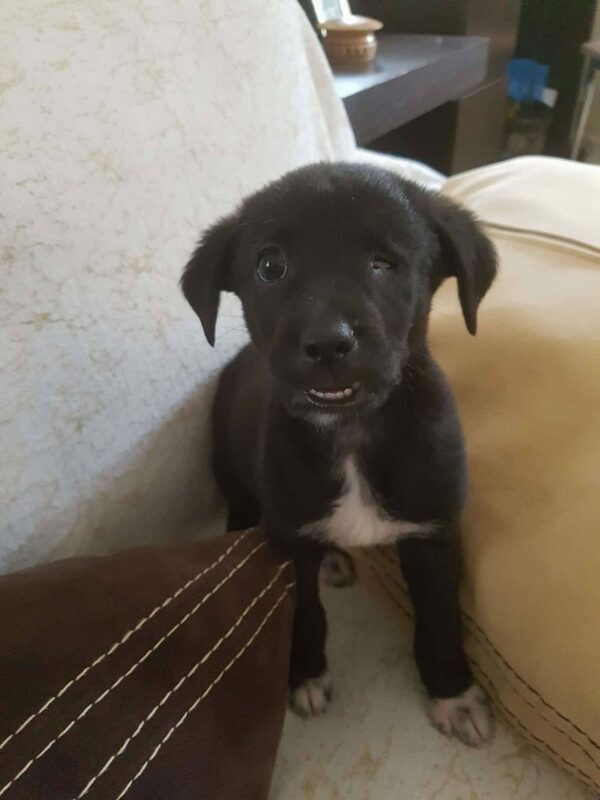 We featured the puppies on Facebook and almost immediately Rachael Antonatos, a successful business lady on the island, contacted us and asked if she could adopt Lottie. Lottie could not have found a better home. Rachael is an amazing animal lover, and she and her two children fell in love with Lottie the minute they saw her. It was lovely seeing the puppies play together! Unfortunately, we were not so lucky in finding homes for Lara, Lucy and Leo. Lara was still quite a sickly puppy but the others were now strong and playful. The day came when they were due to return to ARK. We went to the vet Lefteris Psarros to get Lucy and Leo vaccinated. Lara would stay with us a while longer, she was still to small for ARK. Leo had only been at ARK for a matter of hours when a family came looking for a puppy to adopt, they saw him and fell in love. Lucy also found her forever home a few weeks later. 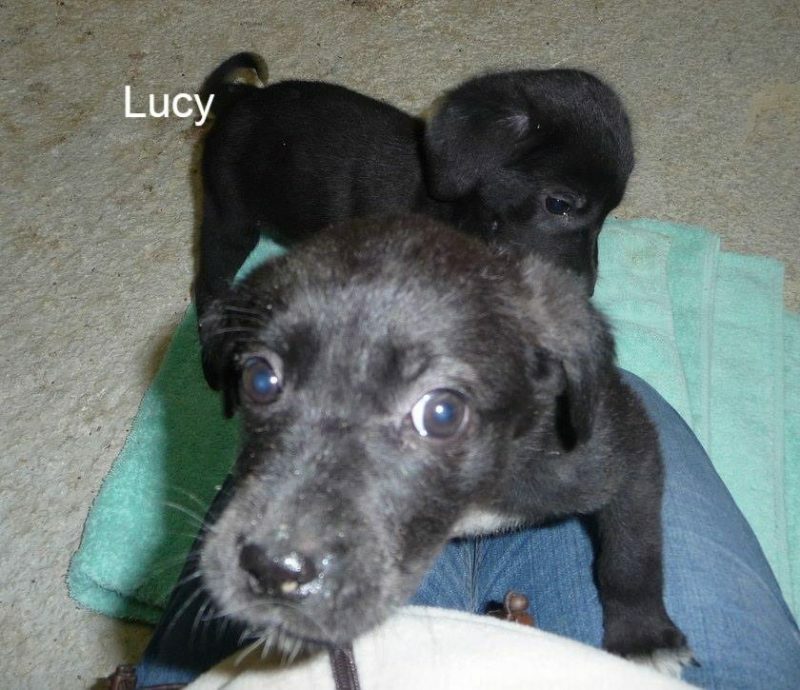 Lucy was adopted by Rachael Antonatos who had adopted her sister Lottie earlier. Rachael had seen a post on Facebook which featured Lucy and loving Lottie so much she went to invite her sister to join their family. Lara in the meantime was settling in nicely with our other dogs Suzy, Bruno and Lucy. Lara was growing up so quickly we knew she was not going to be a small dog! Fast forward twelve months, Lara is a medium sized dog with the most fantastic temperament, we think a lot of it came from being with the two senior dogs Suzy and Bruno – they were her mentors. They were both extremely patient with her but let her know when she over stepped her boundaries. Lucy on the other hand, herself a bundle of joy played all day long with her. Lucy is a great teacher, she taught her to dig holes, hide toys and how to play tag. Lara clearly didn’t want her photograph taken! 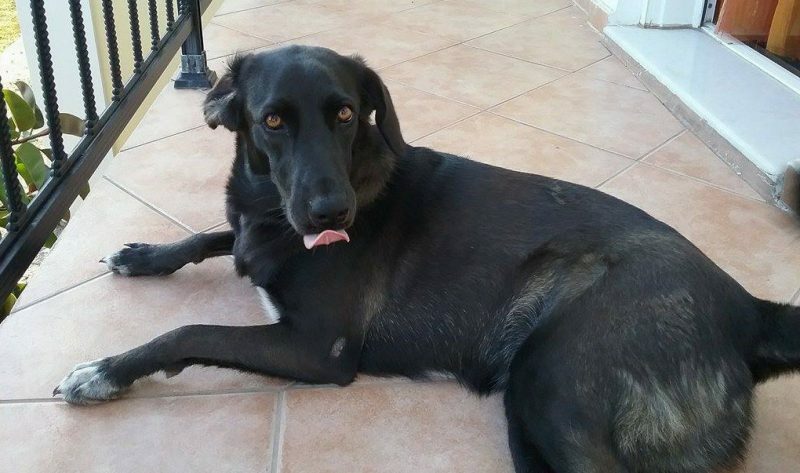 We did not chose to adopt Lara but equally we did not try very hard to get her adopted. 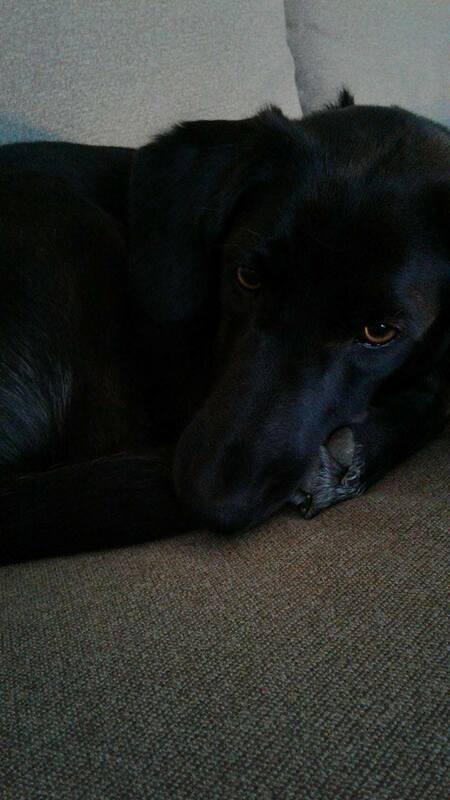 Lara is now an important member of our family and we could not imagine life without her. Every day seeing Lara’s happy face is the best thing ever. 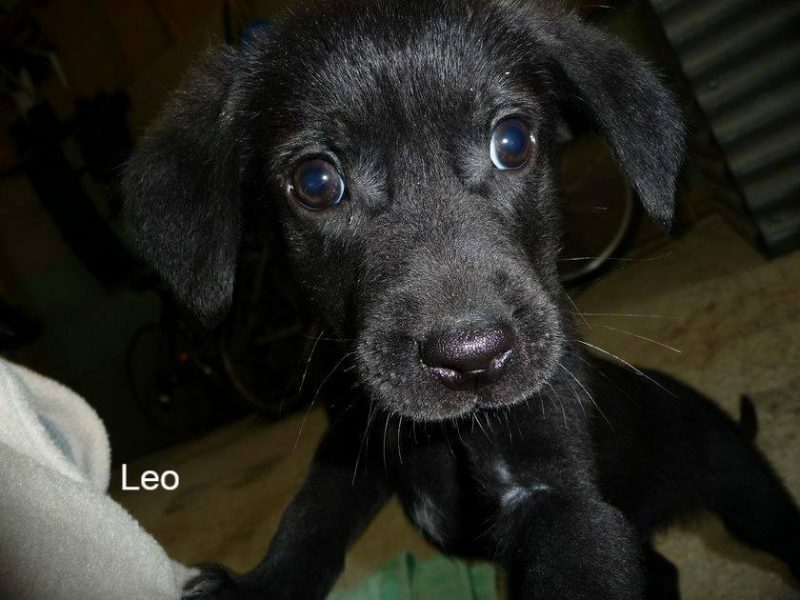 The four unwanted, unloved puppies Lara, Leo, Lucy and Lottie are now loved and cherished by their human families. At the time it was a difficult decision to foster the puppies, we did not know what to expect and what was expected from us as foster parents. We can now say that it was at times a little stressful but the reward of seeing the puppies as grown dogs was worth every second. We have nothing but admiration for Marina and her team at ARK without whom we believe that our four foster puppies would not have survived. To the person who found them and took them to ARK we thank you. Marina, we thank you for talking me into taking them home. We also thank the family who adopted Leo and Rachael and her family for adopting Lottie and Lucy. Previous Post Dorothy clicked her Paws twice and became KIKI!